WRC - World Rally Championship - is a dramatic race series that sees production cars uprated to rally spec, with engines, suspension (in fact, virtually everything) improved and upgraded to compete in a series of rally races around the world. The Airfix Fiesta joins the 1:32 scale range and is a 79-component kit, which measures 125 mm (4.9 in) when assembled - small but perfectly formed is a quick summation. And it is well made, with good fit and finish, plus colourful decals that make the real thing a standout target for photographers. One thing though - Airfix reckons this is a 'Skill Level 2' kit, which might be true if you simply talk about glueing the bits together. 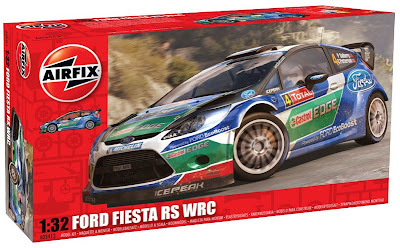 But to make the little Fiesta a real display piece demands considerable skill in the finishing department - WRC paint schemes are complex, and Airfix 'sorta' acknowledges this in the paint-pot list, with no less than 10 different colours mentioned. 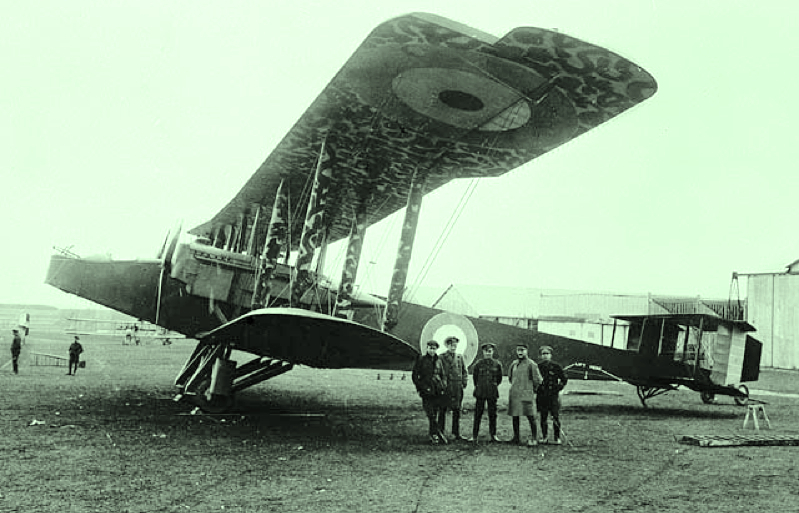 Another Airfix offering is the 1:72 scale Handley-Page 0/400 World War I bomber. The kit has 167 parts and has a wingspan of 423 mm (16.6 in), reflecting the sheer size of the real twin-engine machine. Airfix has upped the skill level to 3, and rightly so, for biplanes of any description are a challenge to beginners, let alone if and when you attempt to add interplane rigging. Complexity apart, it's always good to see stalwarts of early aviation being kitted, so hats off to Airfix for making this familiar old machine available again. Below, an 0/400 crew poses for the camera in 1918, their machine painted in an experimental mottled camouflage pattern. We don't know the shades employed, but it could make an interesting challenge for those who want to build something a little different.